TWO DVDs available only from the Fairbourne Railway at a special combined price of £18.95 including p&p. 'Tracks in the Sand' invites to you explore a year in the life of the Fairbourne Railway. 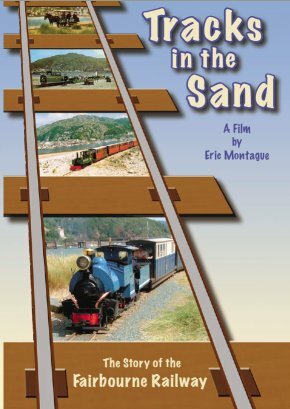 The DVD takes you from Fairbourne to the Barmouth Ferry at Penrhyn Point, from Easter opening through the Railway's calendar of Special Events. These include the Friendly Fairbourne Engine Days with Lord Bart and Mrs. Frendley and engines with their 'faces on', the Classic Car Rally and the Night Train, RNLI Lifeboat Day, Christmas and the Santa Special. Running Time approximately 65 mins Format - 16:9 Widescreen. Dolby Digital Stereo. PAL - Region free. 'Tracks from the Past' This DVD contains a complete 1960s colour film production with sound, music and narrative! 'Tracks from the Past' celebrates this popular miniature steam railway, which has operated since 1895. 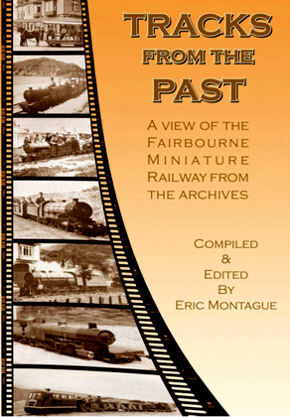 Featuring a film commissioned by the Railway from the 1960's the DVD also includes numerous photographs from the Fairbourne Railway archives, spanning much of the 20th century. Running Time approximately 21 mins Format - 4:3 - Additional music in Dolby Digital Stereo - PAL - Region free. "Ultra-fast service:perfect item...thank you A+"
"Nice dvd,arrived quick thanks,would buy from again"
Price for 2 DVDs £18.95 including UK post and packing. Buy online securely through PAYPAL (takes a moment or two to connect).